NOTE: If parking on Craigburn Rd, please park in one of the designated “pull overs” or the carpark and not in un-designated areas or vacant lots. Thanks. 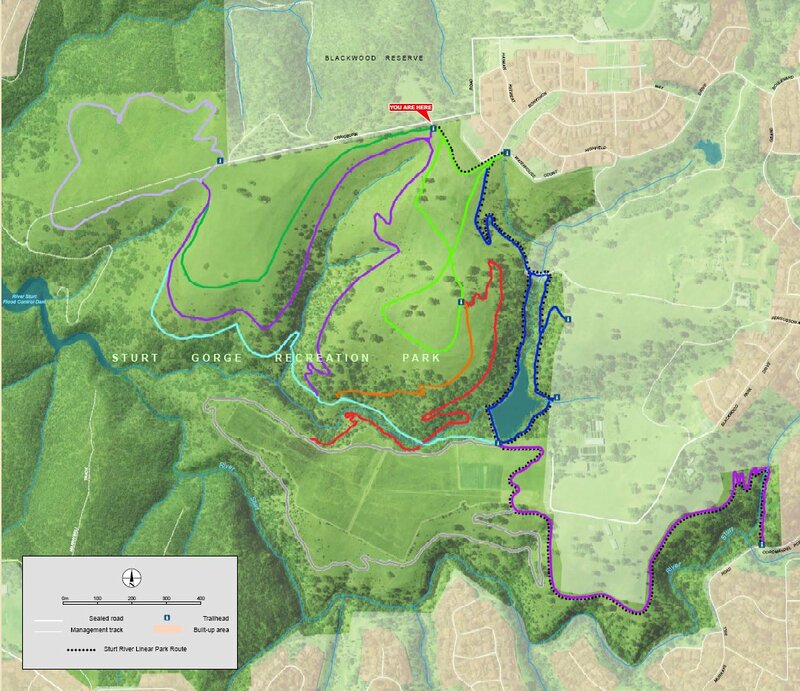 Yes Craigburn Trails Map available from DENR web site Sturt Gorge Recreation Park. Trail heads with map boards and signage of the trails. The trails and junctions are fully signposted. Web site: Refer DENR web site Sturt Gorge Recreation Park. The Craigburn Trails can be found at the end of Craigburn Road Blackwood. By train: On the Belair line it’s a 20min train ride from Adelaide station to Coromandel Valley station, then a 3.5km ride to the trail head on Craigburn Rd. By car: Park in the carpark behind the Blackwood Football Club and ride around the white boom gate on Craigburn Road and follow the old asphalt road, you cant miss it. Get directions from your location here!. Just type your location next to the “A” and hit the “Get Directions” button. Is in the Mt Lofty Ranges Fire ban district.